After dark, we usually do not have visitors, but tonight there was a knock at the door. We were surprised to see Christella. You may remember the blog we wrote about her 9 months ago when she was missing. She looked very mature and grown up. 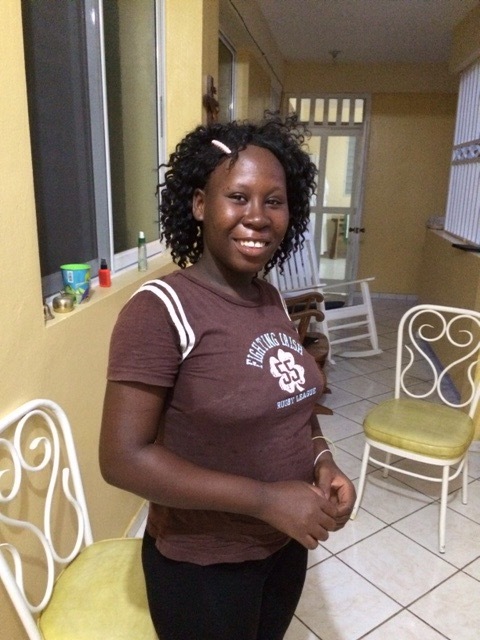 She told us that she was in Port au Prince and is now returning to school in Jacmel. She did not want to share the details of what happened; she only said her aunt, with whom she had been living at the time, threw her out of the house. We are happy she looks okay and will be returning to school. However, we know that it has been a difficult 9 months and has not been an easy time for her. Please keep Christella in your prayers.